Students preparing a site for excavation. The public was key to establishing the Arkansas Archeological Survey. For that reason, the Arkansas Archeological Survey’s mission to work with the Arkansas Archeological Society and share what we learn about Arkansas history and cultural heritage with the public is written into our founding legislation. The Survey works to meet this mission in a number of ways. The Survey and Society work together to organize Arkansas Archeology Month each year, with events at museums, colleges, libraries, and other groups across the State. Our biggest collaboration with the Society is the annual Training Program that introduces people to archeological lab and field methods at different sites as we carry out research around the state. The Survey also provides educational content in a number of different ways. We have four websites that can be used by educators and students for learning. These are Rock Art in Arkansas, Arkansas Novaculite, Bluff Shelters of the Arkansas Ozarks, and Indians of Arkansas. We also provide a number of educational flyers on our website that cover a range of topics in Arkansas history and culture. Dr. Carol Colannino teaching 4-H youth how to excavate. 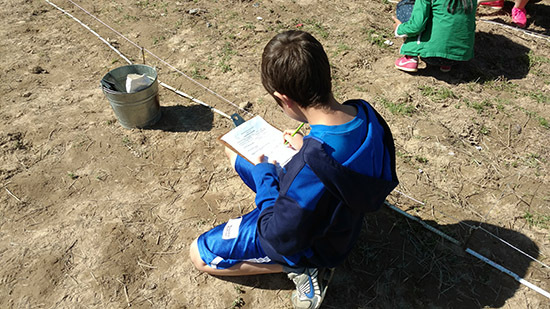 In addition to educational handouts, Survey staff recently developed a 5th grade Social Science Curriculum titled Gathering, Gardening, and Agriculture: Plant-Based Foodways in the Southeastern United States. The curriculum explores concepts of Native American and early European- and African-American plant use in the southeastern United States, while highlighting specific sites in Arkansas. Students explore foodways and how they changed over time, and how foodways influence all aspects of life. There are five core lessons and a bonus lesson, approximately an hour in length, to be taught over the course of a week. 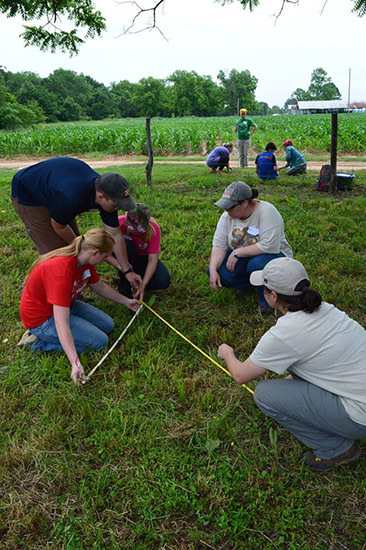 Survey archeologists also partner with organizations like the Arkansas Division of Agriculture 4-H to teach the public about the discipline of archeology. 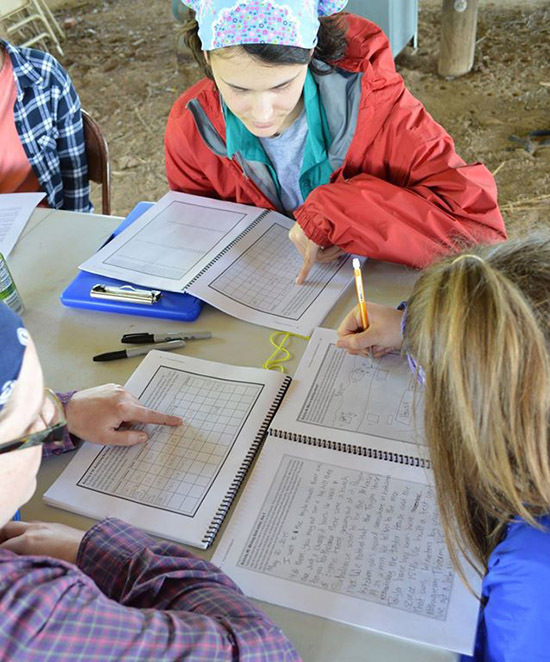 Towards this end the UAM Research Station developed a “field to report” program and activity book centered on a mid-nineteenth century Arkansas site, Hollywood Plantation. This program and the book go through the process of evaluating a landscape, excavating and record keeping, artifact and data analysis, and writing up the results. This doesn’t only teach about archeology, it teaches how to ask questions and how to use data to support a conclusion. Recording data during Project Dig. 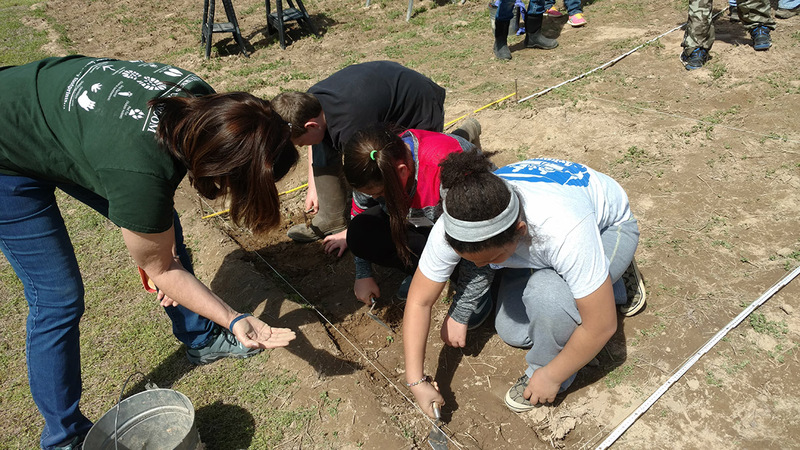 Each Spring semester the WRI Research Station partners with the Winthrop Rockefeller Institute to run a program called “Project Dig” with local 5th and 6th grade classes. Two classes from different schools create two hypothetical cultures/civilizations. They design and construct artifacts and a written alphabet for their cultures, and then use archeological principles to excavate, restore, analyze, and reconstruct the other group’s artifacts and culture. 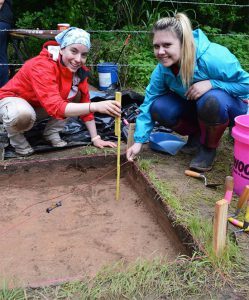 The goal is to give students a hands-on introduction to archeology and cultural studies. The Survey is committed to providing students and adults in Arkansas with resources to learn and appreciate the cultural heritage of their state. Survey archeologists do many public programs talking about their ongoing research projects. They visit school groups to teach young people about the science and social science in archeology. They do programs with boy and girl scout troops, 4-H groups, and more. They give public talks at civic groups, libraries, museums, parks and nature centers, and just about anywhere they are invited. On the front page of our website, there is an easy link where you can schedule a speaker for your school or other group.